Gorgeous card Jane. 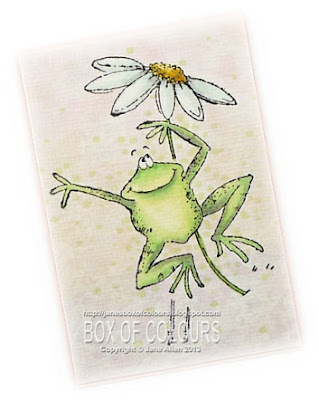 I love PB stamps and this one looks great and beautifully coloured. Love the background die too. I just love this, Jane! 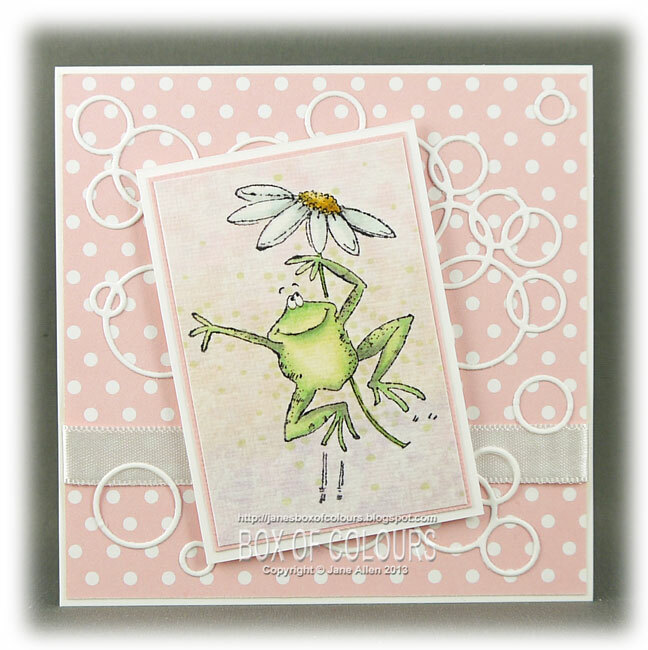 Fabulous softness and love the bubble die cuts! 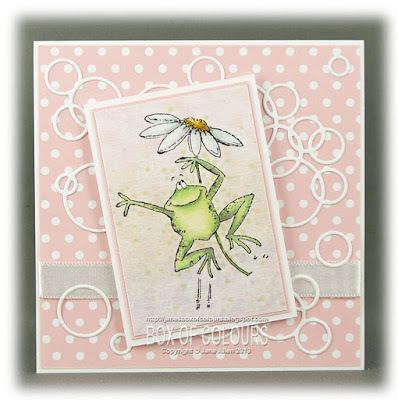 What a very pretty and delicate card Jane and just perfect for our Spring theme. hee hee Your froggie is too cute Jane. Those circles really make a fun background. Hugs! What would we do without great designers like Penny Black(that may be a group?) Mo Manning and our dear Dustin Pike. You make their ideas come to life in such spectacular fashion. PS: Still waiting on your tutorials!!! what a great card. love everything about it. thanks for sharing with us at Created With Love Challenges. Fabulous colours and a great image, thank you for joining us for the Crafty Bloggers Network challenge. Love your adorable frog card. Love Froggies! So cute. The loopy die is so cool. I have to see if I can find it. How adorable! Thanks so much for sharing with us this week, and please stop back by again soon. Jane, what a beautiful card. Love the image. Thanks for joining us this week at Created With Love Challenges for Call of the Wild.